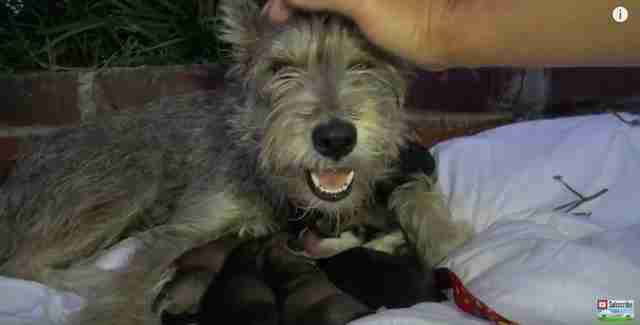 Summer had been homeless and living on the streets of Los Angeles for quite some time. She was being fed by members of the community, and one day they noticed that she was pregnant. After she gave birth, the residents immediately called for help, not wanting the sweet little family struggling to survive on the streets. “She was on the street for a while; neighbors fed her and really liked having her around because she was so nice, but of course when she had babies in the bushes, they knew they had to do the right thing and contact us so the babies and the mom could be with us in a healthy and clean environment,” Eldad Hagar, founder of Hope for Paws, told The Dodo. 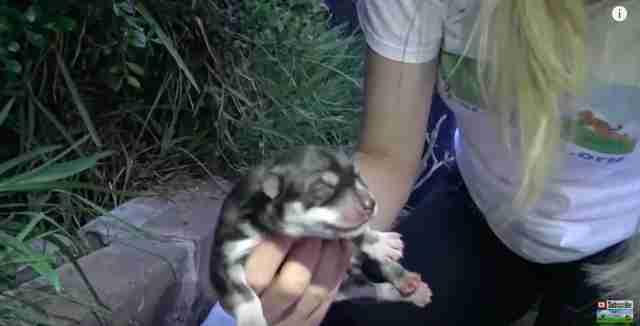 The rescue had received a call about the dog and her puppies on its emergency line and immediately drove to find them. 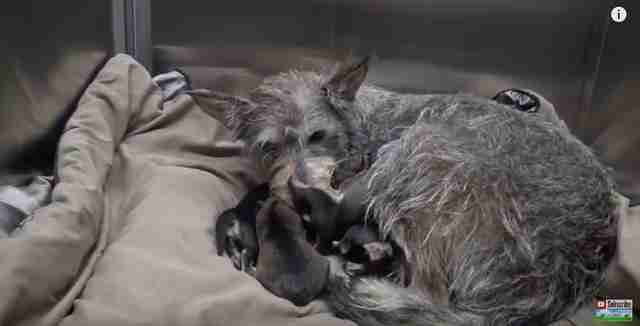 Summer had only just given birth hours before, and was hiding in some bushes with her new puppies, quietly caring for them. Summer greeted her rescuers happily when they arrived, and seemed to somehow know that they were there to help her and her new family. 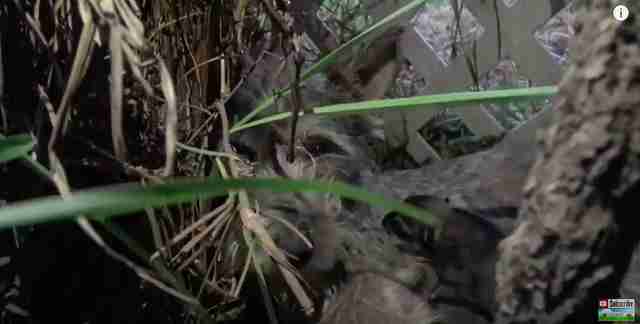 … and as they did, Summer kept emerging from the bushes, checking to make sure that her puppies were in good hands. During her time living on the streets, it seemed that Summer had been cared for by the right people, as she was very trusting of her rescuers, even though she had only just met them. 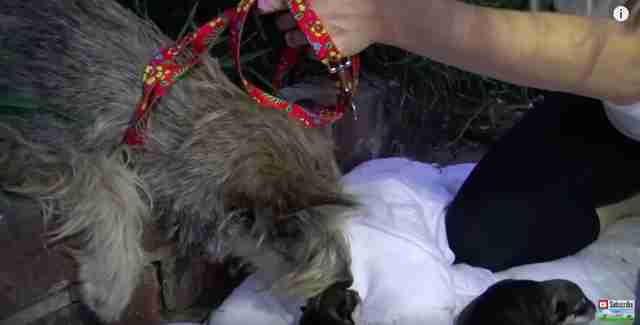 She knew they were there for the right reasons, and watched as they rescued all six of her newborn babies. … and was so happy to be with her family again, on a comfy blanket, getting ready to head off to their new life. Summer and her puppies were taken to the vet to get cleaned up and checked out, and luckily they were all in fantastic health. 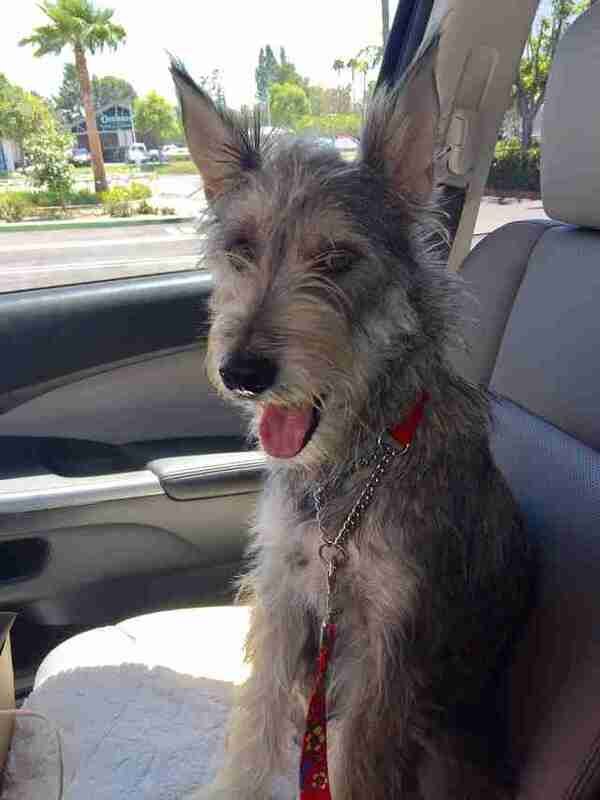 After looking her over, Hagar and his colleagues realized that Summer is likely a Berger Picard, the breed of dog that stars in the book and movie “Because of Winn-Dixie.” Summer is a rare type of dog to find living on the streets, but unfortunately, only she will ever know how she ended up there. 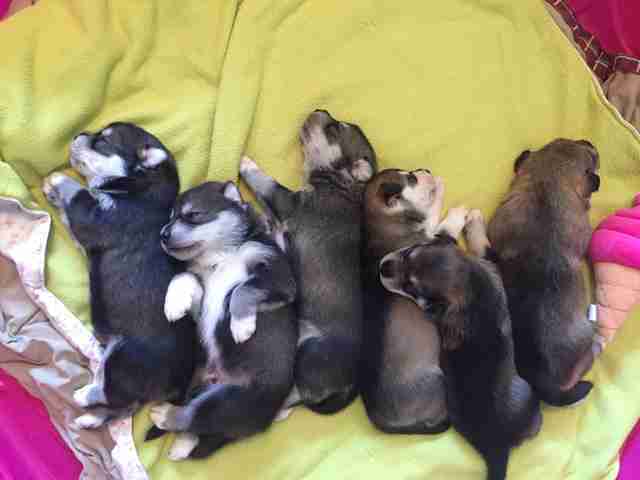 Rescuers decided to name the puppies Tanner, Diver, Surfer, Shelly, Sunny and Sandy. Summer and her puppies were quickly placed into foster care, where they can play and grow together until the puppies are old enough to be adopted. Summer and her puppies will all be looking for their forever homes soon, and if the puppies are anything like their sweet, amazing mom, they’re going to make incredible pets. If you’d like to adopt Summer or her puppies (when they’re available in six weeks), you can contact A.R.T N Paws Animal Rescue for more information.